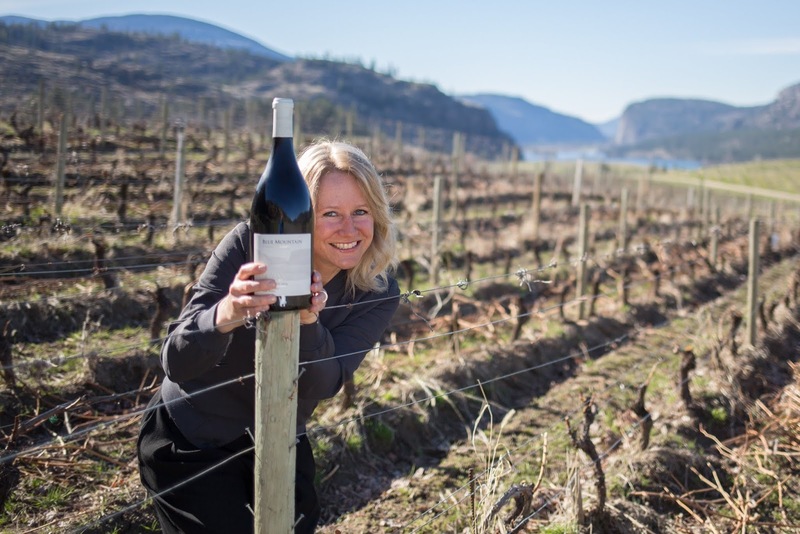 On the afternoon of June 9, Blue Mountain Vineyards & Cellars hosts what has become an annual event to deliver pre-ordered wines to consumers in Vancouver. The event is at Les Amis Du Fromage, located at 843 East Hastings Street in Vancouver. Consumers who attend save the cost of having the wine shipped from the Okanagan. They will also enjoy a glass of wine along with cheese and conversation. Those who remember when Blue Mountain’s tasting room was open by appointment only will recognize that the winery has been through a sea change in its public relations. The tasting room has been open to the public from May to October since 2010. What has changed? When Blue Mountain opened in 1992, there were perhaps 30 wineries in British Columbia and Blue Mountain was the best. The wines sold out in a flash and there was little need for a public tasting room. Today, there are about 300 wineries. Blue Mountain has maintained, and even improved, the quality of its wines. But a lot of excellent new wineries are giving it a run. Secondly, a second generation of the founding family are now the winery’s public face. Christie Mavety, the charming daughter of founders Ian and Jane Mavety, handles the marketing. What has not changed at Blue Mountain is the winery’s practice of pricing its wine reasonably. I am astonished at how fairly the reserve wines are priced, given (a) their quality and (b) the fact the wines have aged a year in bottle before release. It costs money to keep wines in their cellar an extra year but it means the wines are ready to drink when you buy them. There is still time to give Blue Mountain a call and order wines for the upcoming delivery to Vancouver. Or you can always drop in at their tasting room near Okanagan Falls. Here are notes on three recently released reserve wines. 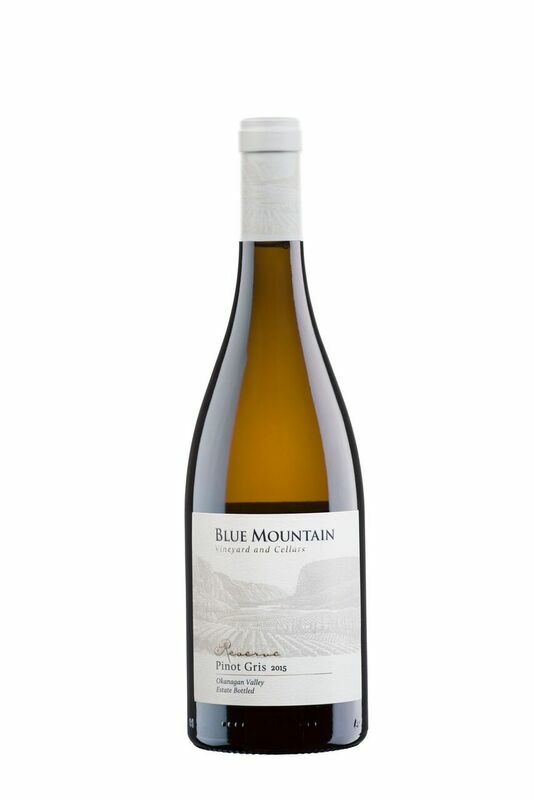 Blue Mountain Chardonnay Reserve 2015 ($30). This is an outstanding Chardonnay. Like the Pinot Gris, the winemaker combined stainless steel and oak-aged portions. In this case, 60% was fermented and aged 11 months in a combination of new to three-year-old French oak barrels. The remainder was fermented and aged in stainless. The wine did not go through malolactic fermentation, preserving refreshing acidity. The wine begins with aromas of citrus and pear. The flavours are intense, mingling notes of oak with lemon, orange and ripe apple. The finish is persistent. 94. Blue Mountain Pinot Noir Reserve 2015 ($40). Blue Mountain has long been one of the Okanagan’s top Pinot Noir producers. This is a powerful wine with remarkable elegance, considering that 2015 was a hot vintage. This wine was fermented entirely with wild yeast and was aged in French oak barrels for 16 months. The wine displays a dark ruby hue in the glass and begins with aromas that mingle toasty oak with dark fruits. On the palate, there are flavours of strawberry and cherry. There are savoury and spicy notes on the finish. 92.